A fast and easy surfactant-assisted dispersive micro-solid phase extraction method coupled with ultrasonic power was used for the simultaneous preconcentration and determination of low levels of hippuric and methyl hippuric acid in human urine samples. In the first step, magnetic nanoparticles was coated by titanium oxide nanoparticles (Fe3O4/TiO2 NPs), afterward characterized by the scanning electron microscopy, energy-dispersive X-ray spectroscopy, and Fourier-transform infrared spectroscopy. In the next step, anionic surfactants were thus combined with the synthesized magnetic nanoparticles to create a new adsorbent for increasing the simultaneous extraction of hippuric and methyl hippuric acid. After elution of extracted target molecules by the sorbent, the concentration of these molecules were measured by high-performance liquid chromatography (HPLC–UV). Meanwhile, a statistical approach known as Box–Behnken design was applied for optimizing significant parameters. With the optimum parameters anticipated by the experimental design, the limit of quantification (LOQ) acquired was reported to be 3 µg L− 1, and the calibration curve was linear within the concentrations of 3–1000 µg L− 1. Finally, the method was effectively implemented for the determination of low levels of hippuric and methyl hippuric acid in human urine samples. The online version of this article ( https://doi.org/10.1007/s13738-018-01588-w) contains supplementary material, which is available to authorized users. 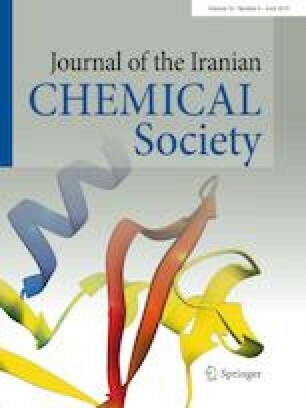 This work has been funded and supported by Tehran University of Medical Sciences grant (Project No. 35971). The authors would like to acknowledge the University and also the laboratory personnel of occupational health engineering department for their kind help.